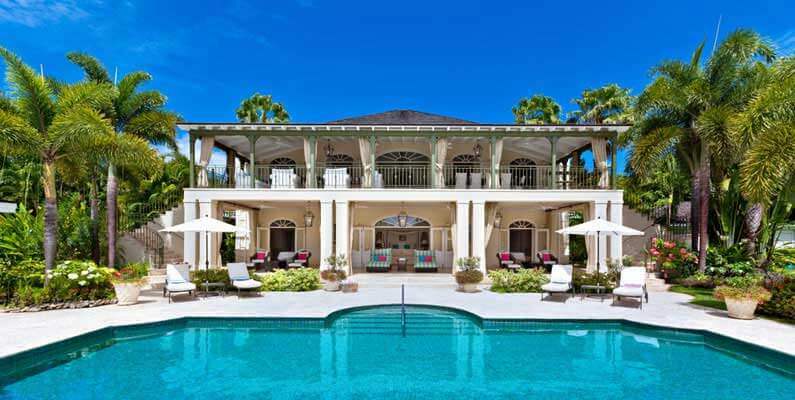 Founded in 1992, we feature the finest luxury vacation rentals in Barbados. Each of which have been inspected at least once every year by one of our dedicated Villa Specialists. We have unrivalled experience of our villas and destinations. We tailor all our vacations for you. Our team of Barbados villa specialists are here to help you find the perfect villa in Barbados. Our trusted team are passionate about what they do and have an intimate knowledge of every villa as well as the island. Villas Barbados is a luxury villa rental company specializing in only the very best Barbados Vacation Rentals. At Villas Barbados, we offer some of the most luxurious and exquisite fully staffed properties on the island. 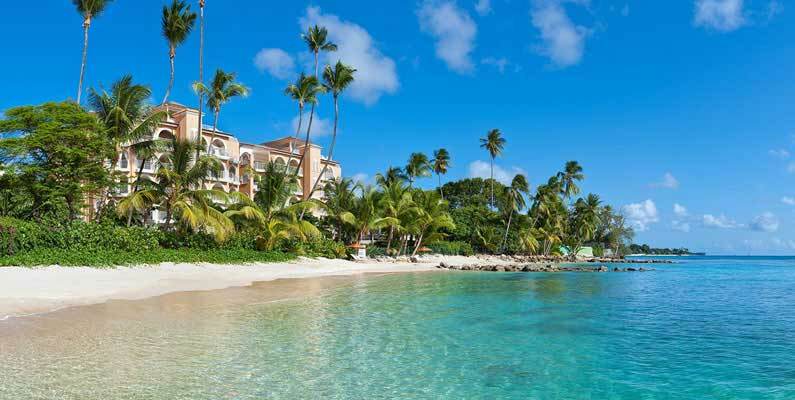 Within our portfolio, you will find a great selection of private Barbados beachfront villas, historic plantation homes, golf villas, luxury oceanfront condos and magnificent standalone villas with pools. Many of our Barbados Vacation Rentals also come in the form of luxury 5-star condos such as the beautiful properties located at Old Trees, Smugglers Cove, Coral Cove and the brand new St James Villas. For more than 26 years Villas Barbados has been delivering first class service to our clients from all around the world. We inspect our villas in Barbados several times per year to ensure they meet our Exceptional and exacting standards. Our team of Barbados villa specialists are here to help you find the perfect villa in Barbados. They are passionate about what they do, and they have an intimate knowledge of every villa as well as the island. They know all the best beaches in Barbados, the best things to do and see and the very best Barbados restaurants. Our Barbados Travel Experts will spend a lot of time with you finding out what is important and what your dream villa looks like. They will then weight up the pros and cons of each property to enable you to choose the perfect Barbados Villa for your needs and dreams. Our team take pride in being completely honest and putting trust back into travel. At Villas Barbados, we offer more than 450 personally inspected and vetted Barbados Vacation Rentals. Our professional team has chosen each of the Barbados villas we represent with quality, luxury and location in mind. Barbados is a small yet stunningly beautiful tropical island. It covers a total land area of 430 km2 or 166 square miles, and it is possible to drive around the perimeter of the island in a couple of hours. First-time visitors to Barbados, will often ask us the question; what are the most popular destinations to visit in Barbados? Barbados is divided into sub-regions called parishes, and there is a total of 11 parishes. The majority of our vacation rentals are in St James Barbados which is on the west coast of the island. But we do also have lovely vacation rentals in St Peter. The parish of St Peter is slightly further north on the west coast of the island. The Parishes of St James and St Peter are where you will find the islands most beautiful beaches, best restaurants, the most interesting shopping and of course the best Barbados Vacation Rentals. If you are looking for beachfront condo-style accommodation, then the rentals on Paynes Bay Beach are your best choice. Paynes Bay is one of the best beaches on the island. It is located close to Holetown and is walking distance to the famous Sandy Lane Hotel. A couple of Barbados best restaurants are within walking distance of the villas on Paynes Bay such as Daphne’s and Treasure Beach. The islands most exclusive restaurants called The Cliff is also close by. If you are hoping to play golf, the best golf villas in Barbados are located in Royal Westmoreland and Sugar Hill. 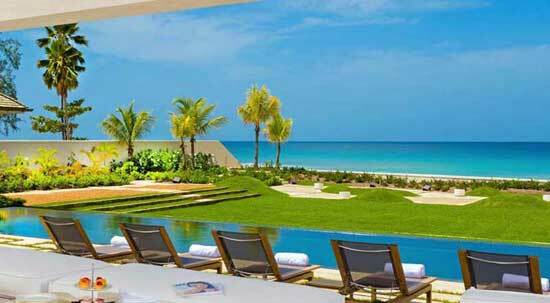 We do also have an excellent choice of luxury golf villas located in the Sandy Lane Estate. Clients lucky enough to stay in one of the Sandy Lane Estate Villas have the added benefit of being able to use the beach at Sandy Lane. This is a picture-perfect crescent-shaped stretch of beach. 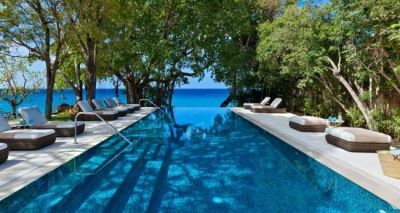 It is extremely exclusive as the only people allowed to use it are the guests of the hotels or guests of the Sandy Lane Villas. La Mirage at Old Trees is a stunning example of our luxury rental properties on Paynes Bay. If you are seeking laid-back luxury, the vacation rentals on Mullins Beach Barbados are your best bet. Mullins Beach is another very lovely beach. Some of our most popular villas close to Mullins Beach include Jasmine, Coral Breeze and Easy Reach. 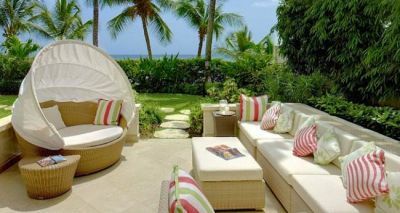 Then, if you prefer the ultimate in luxury and location, you might consider the Villas on Sandy Lane Beach Barbados. 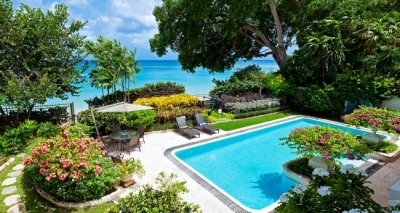 One of the most popular villas located directly on Sandy Lane Beach is Landmark Villa. Landmark Villa Barbados is the epitome of laid-back, barefoot luxury. 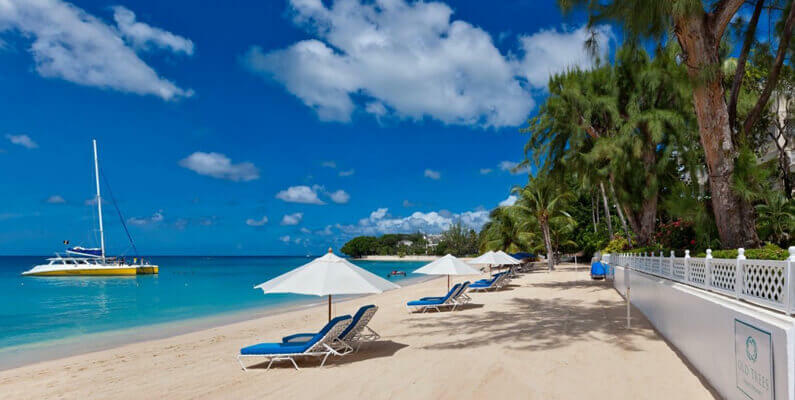 If you like the idea of being on one of the islands best and quietest beaches, then the vacation rentals on Gibbes Beach Barbados are the ultimate choice. Gibbes Beach is just south of Mullins, and it is possible to walk between the two. The beach is completely residential, and consequently, it is both one of the best Barbados Beaches and also one of the quietest in Barbados. Many of the islands iconic holiday homes are located along here such as Emerald Beach, which is a small enclave of 6 luxury townhouses located on the western end of the beach. Greensleeves which is one of the most luxurious of all the Barbados Villas is also located on Gibbes Beach. Some of our most popular properties are the vacation rentals in Holetown. This is where many of the islands best restaurants such as Tides Restaurant are located. Holetown also has some great shopping options. The upscale Limegrove Lifestyle Center can be found here as well as the lovely colourful chattel shops which are full of beautiful small boutiques and gift shops. One of the islands most beautiful villas called Gardenia is located very close to Holetown. 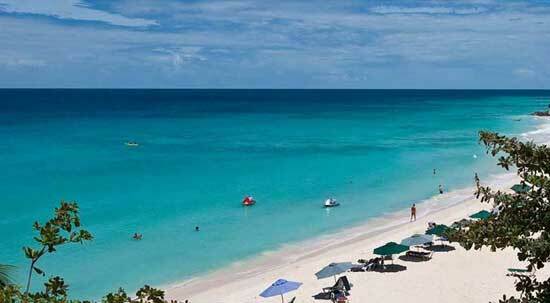 The island also has a very good selection of Barbados Resorts. These are another very popular option among our clients. It is nice to have the freedom of a vacation rental combined with the resort amenities such as restaurants, spas and communal pools. Great examples of these are located at Saint Peters Bay and Port Ferdinand. Saint Peters Bay is one of our most popular locations while Port Ferdinand is where you will find the famous Nikki Beach Club located. But no matter which location you choose or which villa type, you will be able to avail of our best price guarantee as well our 5-star complimentary pre-arrival concierge service. Once you have booked your Barbados Villa with us, our concierge team will endeavour to organize and plan every detail to ensure that your vacation is both perfect and stress-free in every way. Our concierge can organize everything from ground transportation, car hire, airport fast-tracking, cruises, restaurant bookings, villa pre-stocking and much more. Once you arrive on the island, you will be able to avail of a 24/7 on island concierge so that any last-minute plans may be arranged. Our goal is to provide the best service possible and to exceed your expectations. Barbados is truly a picture-perfect tropical paradise. It has some of the best beaches in the Caribbean with the softest white sands and calm crystal-clear turquoise waters. In fact, this beautiful island has more than 70 miles or 112 kilometres of beaches. Generally, the beaches located on the West Coast of Barbados which is the Caribbean side are very calm, with crystal clear waters, turquoise seas and snow-white sands. The beaches on the eastern shores of Barbados tend to be much wilder due to the fact that this is the Atlantic side of Barbados. The south of the island also has some stunning beaches which are well worth a visit. 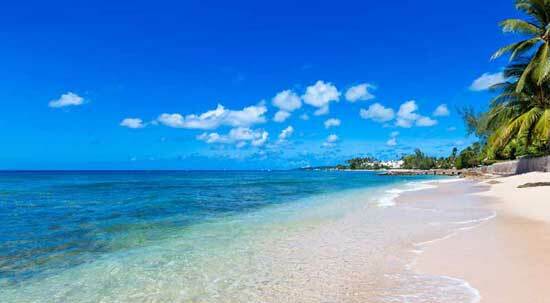 To read about all Barbados Beaches, take a look at our guide. You can choose to spend long luxurious days soaking up the sun or be much active, and Barbados is not just about its beautiful beaches. It’s also one of the best experiential holiday destinations in the Caribbean. It has a very interesting history, an authentic Caribbean culture, incredible restaurants, great shopping and a wide array of sports to participate in. Barbados has a long history of tourism. The British first landed in Barbados in 1625. It was during this time that Captain Powell claimed the island and raised the British Flag for the first time. The British made their first settlement in Jamestown which is now known as Holetown. The British Empire was the largest in the world, and so it wasn’t long before word got out about Barbados and its paradise island qualities. Tourism to Barbados received a major boost during the 1970s when British Airways chose the island as its only holiday destination for Concorde. Everyone wanted to fly Concorde. The flying time from London to Bridgetown was just four hours, and some of its famous passengers included Mick Jagger, Pierce Brosnan, Elton John, Cliff Richard, Cilla Black and many members of the Royal Family. The Queens Mother flew Concorde on her 85th birthday, and Queen Elizabeth flew Concorde in 1977 to mark the end of her silver jubilee. This was when many of the first Barbados Villas were built. Many wealthy British people wanted a piece of paradise, and many of them employed famous artist and architect Oliver Messel to build their beautiful Barbados Homes. He is responsible for creating some of the island’s most iconic Barbados Vacation Rentals. Some of his properties include Crystal Springs, Leamington Pavilion, Fustic House, St Helena and Mango Bay. These are still some of the most popular luxury Barbados Villas to this day. Smugglers Cove 1 is very dear to our hearts as it is the first villa, we ever featured in our programme. Since then, we have visited over 800 properties in Barbados of which we feature around 450. But Smugglers Cove 1 remains one of our favourite Barbados Villas. It has one of the best locations on the island directly on Paynes Bay which is without a doubt one of the nicest beaches. Its ground floor aspect makes it very appealing to beach lovers because you can run in and out of the sea in seconds. The décor of Smugglers Cove 1 is simply lovely but what makes it really stand out is the fact that the Housekeeper whose name is Ollie is one of the best on the island. She always has a smile on her face and is the main reason why our guests continue to return to this lovely Barbados Vacation Rental year after year. 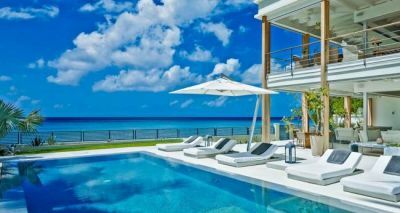 Atelier is one of the most stunning contemporary villas on Barbados. It’s elevated position overlooking Reed’s Bay which is one of the most beautiful beaches on the island, ensures that Atelier has incredible views of the ocean. 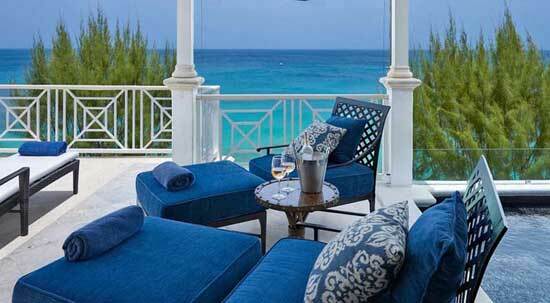 It is one the best Barbados villas to enjoy the sunset. Atelier has four exquisite bedrooms, and the living space spans a very spacious size of over 4300 square meters. Atelier is one of our most popular vacation rentals in Barbados for clients who love modern, clean lines coupled together with very chic decor. One of our favourite features of the villa is the double height ceiling in the downstairs living area. This feature works so well together with the wraparound glass walls that open right up to ensure that Atelier takes full advantage of the beautiful views. Last but not lease Atelier is no more than 700 meters from the beach at Reeds Bay and a couple of minutes’ drive to The Lone Star Restaurant which is one of the best Barbados Restaurants. The Dream is without a doubt one of the most iconic villas in Barbados and is one of our clients favourite Barbados Vacation Rentals on the Beach. Everything about The Dream is exquisite. The Dream is one of the most private villas on the island. It also has one of the most beautiful pools with a full-service bar at one end. The Dream has two beautiful living areas which ensure that when the each of the 5 bedrooms is occupied, there is space for everyone to enjoy spending time with each other or spending time reading a book, contemplating life or just enjoying the spectacular views. We can highly recommend this wonderful property and any of our guests who stay come year after year. Crystal Springs is not only one of the most iconic villas in Barbados; it is one of the most iconic in the world. It has an incredible location on its own private cove on the beautiful west coast of Barbados. It was designed by the famous artist turned architect Oliver Messel during the seventies and was recently restored to its original grandeur. The gardens are as exquisite as the interiors, and the flow and transition between both are so great, it is sometimes hard to realize if you are inside or out. With 10 bedrooms, it is one of the largest Barbados Vacation Rentals and is perfect for an extended family or a special occasion such as a small wedding, birthday or anniversary party. Our favourite features of this stunning villa are without a doubt the incredible views, the gorgeous tropical gardens and the exquisite infinity pool. Bonavista is one of the most beautiful Barbados Beachfront villas. It is located on Gibbes Beach which is one of the nicest beaches, also one of the quietest beaches on the island. Bonavista is also one of our most popular west coast villas. It offers a combination of excellent value, an incredible location and a high level of luxury. When you stay at this lovely villa, you will be well looked after by their highly trained team. This includes Janet the cook, Alana the Housekeeper and Edwin the gardener. One thing they all have in common is they will all be on hand to help in every way they can with a huge smile on their faces. Our clients visit Barbados for many reasons. The island is extremely popular for weddings, and many of our clients choose one of the stunning villas to enjoy their special day in beautiful and private surroundings. With so many larger villas, the island is also wonderful for multi-generational get-togethers. There can be no nicer way to spend a vacation than with grandparents, parents, children, grandchildren and even great grandparents! It is also a great tropical island for honeymoons with many romantic and small villas located on the beach. But no matter what your reason is, you have to visit paradise, we will look forward to making every moment special and to welcoming you with warmth and care. 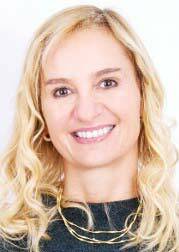 Alexandra is the owner and director of Villas Barbados and Exceptional Villas. 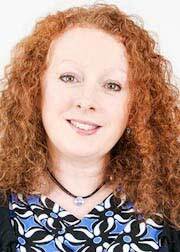 She set up the company in 1992 focusing on exclusive villa rentals for discerning clients. Alexandra is passionate about luxury travel and Barbados is her favourite destination. Yvonne is head of rentals at Villas Barbados and has over 20 year’s experience in the travel industry. She has intimate product knowledge of every villa in Barbados and spends much of her time on island viewing all of our properties. Yvonne will ensure she finds the perfect villa just for you. 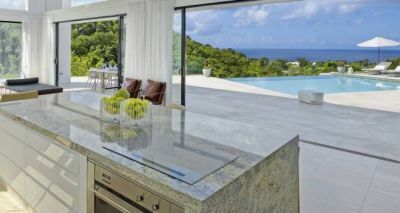 Paul travels to Barbados several times per year viewing each of our luxury villas. Paul not only knows each of our properties intimately he also knows the best beaches, restaurants and all the best things to do in Barbados. Paul is an expert in finding the perfect villa for our clients. As head of concierge at Villas Barbados, Julie is responsible for taking care of our guests from the moment they book, through to their stay and well after they return home. Julie knows how important customer service is and will ensure every part of your vacation is planned to perfection. Linda is Sales and Marketing Executive at Villas Barbados. She has an in-depth knowledge of all of our villas in Barbados and is a keen traveller to the island. Linda’s favourite place to stay is on Paynes Bay Beach. 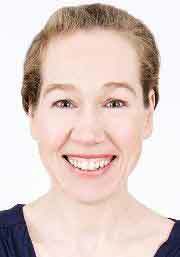 Linda’s expertises are in the areas of business and marketing. 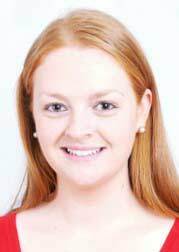 Niamh is one of our Barbados Villa Specialists; she knows the island very well and has been many times to visit each of our properties. She not only knows the villas but knows the island intimately. 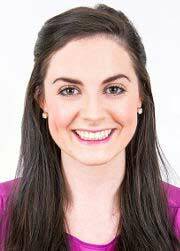 Niamh will be delighted to assist in planning your vacation to Barbados. 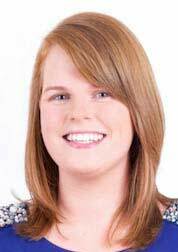 Aine is our Caribbean Travel Specialist. She is passionate about the travel industry and has thorough knowledge of each of our destinations we feature throughout the Caribbean. Barbados is one of Aine’s favourite destinations and her favourite place to stay is St Peters Bay Resort. 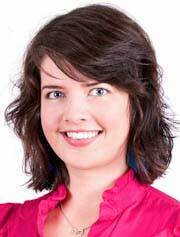 Emma is one of our Caribbean Travel Specialist and is fluent in Spanish and French. She has detailed knowledge of our luxury villas. Emma enjoys visiting Barbados and viewing our villas on island. Her favourite thing to do is swim with the turtles at Paynes Bay. 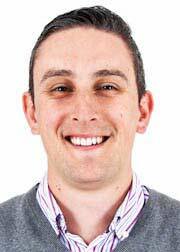 Sean is our Caribbean Travel Specialist and knows each of the destinations we feature extremely well. He is responsible for matching our guest’s requirements with the perfect vacation rental for their needs. 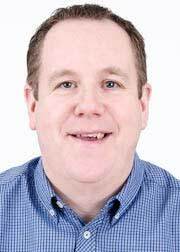 Sean’s background is in customer service and he will ensure your booking process is made as easy and as simple as possible. 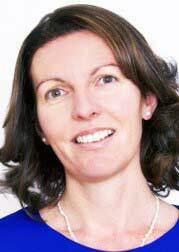 Noreen is our concierge specialist and can arrange anything you wish for during your stay. So whether you would like to arrange golf, fishing, scuba diving, a luxury airport transfer, car rental or VIP airport assistance, Noreen can assist with everything for you.